Of course the Moka-Ris was doomed and gave way to the Pizza Express opened we believe by Margareta Zampi (wish I could find a way of confirming this!) which was eventually taken over by Peter Boizot who still claims to have started the business yet I distinctly remember the opening, although not invited, and the whole crew was 100% Italian - and customers of LET and friends of Lucio's! The year must have been 1967. 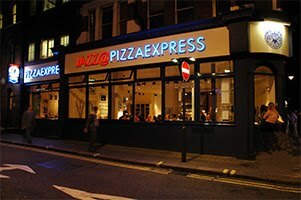 The PizzaExpresses site says: Peter Boizot started the first PizzaExpress in London, 1965. ... finding no good pizzas, Peter invested in a Signora Notaro oven from Italy, got an exclusive deal with London's only mozzarella maker, Margaret Zampi and took over her ailing pizza shop, PizzaExpress. Lorraine Michelle Pizza Express was opened in Dean Street in 1969. Jon F The chain went through expansion in that year. The 'Ladbroke Square gang" Pierres Oberson & Richard, John Kenny . Jean de Hareng (Belge)& moi used to frequent it before heading off to La Poubelle or to the pictures on Notting Hill Gate. Lorraine Michelle I remember so distinctly in 1966. Italy were in the World Cup. I was working at Alitalia at Oxford Circus, and everytime Italy played a match the offices in Italy would go on strike and we were locked in our office all weekend trying to rebook passengers on different airlines. (Can you imagine being locked in today with the elf & safely rules)? We would call Pizza Express in Wardour Street and they would come round with pizzas. We'd have to lower string from our first floor window which they would wrap round the pizza box and we would (very carefully) haul them up! Adrian It was definitely opened long before 1969 - I thought 1967 but it was in fact before. The expansion happened when Peter Boizot bought up the two restaurants and the name from the Margaret Zampi. The official PizzaExpress history (under Peter Boizot) which they have admitted to me is wrong but have not corrected claims he opened the first restaurant in 1965 and since Dean St was the first it must have opened in 1965. Wardour St was opened a bit later - maybe 2 years. Anyhow Yusuf's story makes sense except for Mrs Love. Who was that? Anybody know? Unknown Sorry whoever you are in America who posted this item. You got blocked and thrown off by mistake. I knew the Managing Director of Gaggia in 1967 his name was Russell, a gay man ex Royal Guard officer. I was his chauffeur for a while; I used to drive him to work in his cool humber; he committed suicide or was murdered; I think he was murdered. Supposedly the gas from his stove in his apartment went off and when I passed by the entire roof of his condo had been blown off? He wan't the suicidal type...he also ran a shoe business from Italy; Korfam shoes I think? Yusuf Mohammad Mrs. Love, I'll tell you who she was! A friend where I worked (C. A. V., diesel injection pump manufacturers) invited me to accompany him one work day to visit Soho. I was smitten by the place and vowed to return to seek work and did in fact get a dish washing job at the Moka Riz Bar. After a week or two a Spanish waiter, Justo, suggested I put in for a vacant waiter position. It was through the trust that Mrs. Love put in me that launched my career. She was simply the manager and in my time there she left for N. Z. which I heard she did not like. She was a very good fair and firm boss, that's all. I was a most shy innocent but cheeky young man, desperate for intimacy. That desperation and intrigue about all that went on within and without the coffee bar would make a little story and only upon invitation would I divulge it. Here we are, just 50 years on, and it all seems like only yesterday. 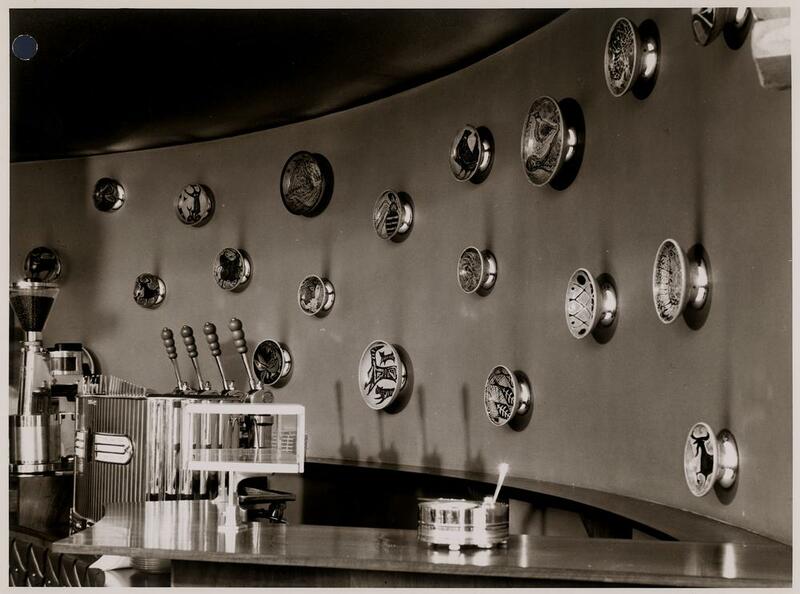 In 1953 Gaggia’s UK agent Pino Riservato opened the Moka-Ris bar to demonstrate the functioning of a coffee bar to prospective clients. 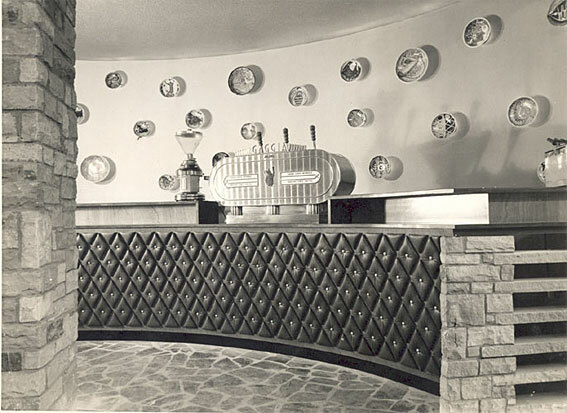 The first proprietors of the Moka bar were Maurice and Rose Ross, a Jewish couple from Leeds. Like most of those involved in the coffee bar explosion, Ross came from outside the catering trade, and was not a member of the Italian or Anglo-Italian community, although he had holidayed in the country which is where, it is believed, he acquired the machine in the first place19. The man who acquired the Gaggia concession for the UK was Pino Riservato, an Italian commercial traveller about whom we know little other than that he was reportedly inspired by the poor quality of coffee available in London. Although Riservato entered into partnership with several Anglo-Italians to set up the Gaggia UK company, this soon allied itself with the leading British roaster, the London- based Kenyan Coffee Company (known colloquially, and later officially, as Kenco), which created the leading espresso blend Moka Ris, as well as setting up around 30 coffee houses of its own across the country. Nel suo appartamento nel centro di Londra mostrava le macchine ai proprietari d’esercizi pubblici ma questi rimanevano scettici dei vantaggi, vista la stragrande preferenza degl’inglesi per il te. Ci fu invece una nuova fascia d’imprenditori, che, come Riservato stesso, era esterna al settore di caffè che comprò le prime macchine – uomini come lo scozzese, Maurice Ross, che ha aperto il primo coffee bar che utilizzava una Gaggia, chiamato il Moka nel Frith Street al cuore del distretto di Soho di Londra nel 1952. L’anno seguente Riservato entrò in partnership con Ross per realizzare il Moka-Ris bar, che funzionava sia come posto in cui si mostrare le macchine, sia l’attività di un coffee bar stesso ai possibili clienti inglesi. Al tempo stesso, come rivela il suo archivio fotografico, la Gaggia ha fatto uso delle fiere di settore ecc. per dimostrare il funzionamento dei suoi prodotti.